Our universe is ruled by physics. Faster than light travel is impossible—until the discovery of The Flow, an extradimensional field available at certain points in space-time, which can take us to other planets around other stars. Riding The Flow, humanity spreads to innumerable other worlds. Earth is forgotten. A new empire arises, the Interdependency, based on the doctrine that no one human outpost can survive without the others. 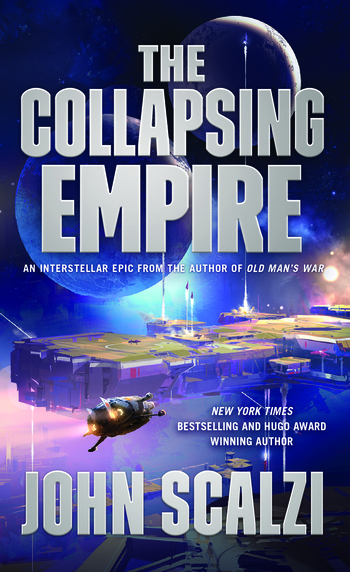 It’s a hedge against interstellar war—and, for the empire’s rulers, a system of control. The Flow is eternal—but it’s not static. Just as a river changes course, The Flow changes as well. In rare cases, entire worlds have been cut off from the rest of humanity. When it’s discovered that the entire Flow is moving, possibly separating all human worlds from one another forever, three individuals—a scientist, a starship captain, and the emperox of the Interdependency—must race against time to discover what, if anything, can be salvaged from an interstellar empire on the brink of collapse. JOHN SCALZI is one of the most popular and acclaimed SF authors to emerge in the last decade. 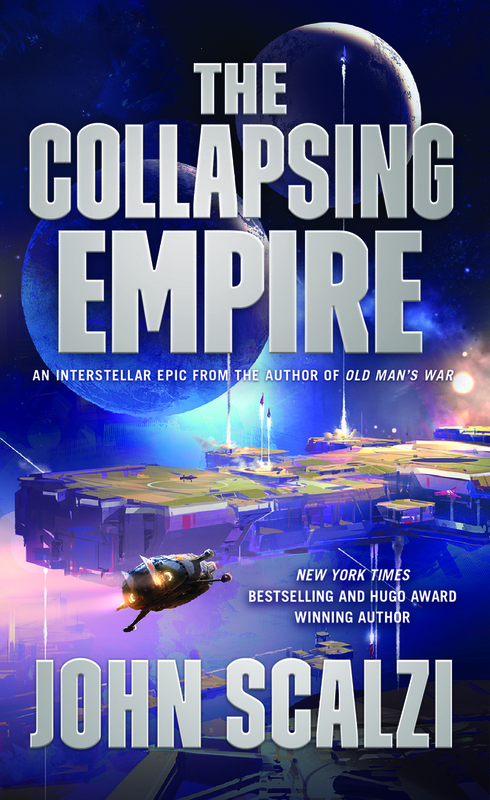 His massively successful debut, Old Man’s War, won him science fiction’s John W. Campbell Award for Best New Writer. His New York Times bestsellers include The Last Colony; Fuzzy Nation; Redshirts, which won 2013’s Hugo Award for Best Novel; and Lock In. Material from his widely read blog, Whatever, has also earned him two other Hugo Awards. He lives in Ohio with his wife and daughter.